Participatory Natural Resource Management (NRM) at local levels among pastoralists contributes to evidence-based ecosystem management at community level in the governance of common and privately managed land and water resources. 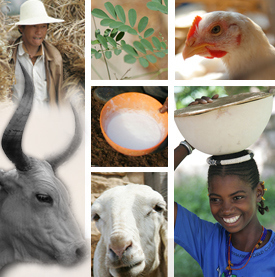 Biodiversity, Ecosystem Services and Social Sustainability and Tipping points in African Drylands are of key importance for sustainable livestock production. The Livestock Systems and Environment (LSE) program aims at working to enhance community resilience to drought through innovative market based systems, resulting to farmers and pastoralists with better access to more diverse, efficient and equitable markets.